Top three most important texts: Feminist Political Ecology (Rocheleau, et al. ); Gender and Climate Change (Nagel); and This Changes Everything (Klein). Not light reading, but texts I can’t do without. Environmental issues are social issues, and they impact different groups differently! Q. Is there a key intervention you are trying to make? My work aims to focus attention on how small and large scale environmental problems are also everyday problems of the body, health, and social activism. Specifically for women. 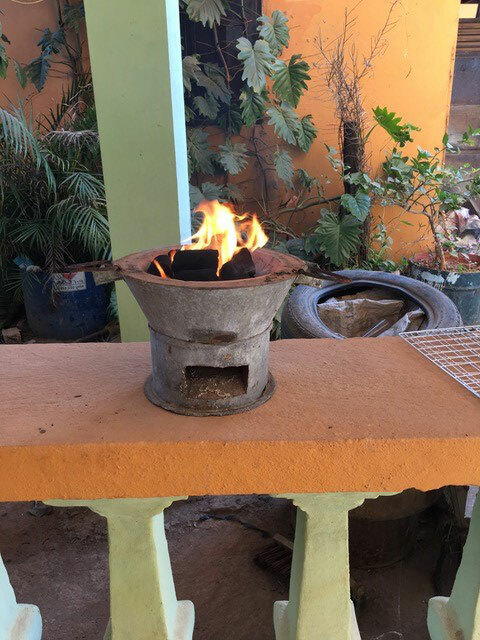 My current project analyzes women’s everyday cooking practices and their exposure to household air pollution in Africa and Asia. 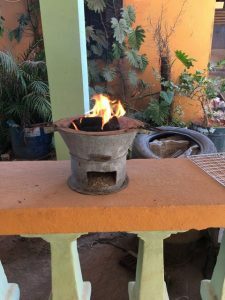 I spend a lot of time in kitchens, coughing over the charcoal or firewood stove that’s being used to cook, while the gas stove sits unused in the corner. Q: What has teaching students taught you? That there are endless ways to get an idea across and make it stick. Funny ways, serious ways, dramatic ways. But the way that works best is always to make it relevant to students’ actual lives. Q: Do you have a go-to film or podcast you encourage students to access? I always have my students watch a documentary called Hands On: Women, Climate, Change because it is about everyday actions women environmentalists are undertaking around the world. Climate change seems like a big scary monster that will crush us all—until we start to see that there are actions we can take, starting right now. The women in the film are all ages, including as young as UCR students. Hopefully it makes students feel a little more like they can make a difference. Q: Anything else new or exciting we should know about? I have recently published a book about my first project, titled On Infertile Ground: Population Control and Women’s Rights in the Era of Climate Change. In Focus is a new interview series that features faculty associates of the Center for Ideas and Society.